Crypto Sportz - Decentralized platform for sports wagers through the use of cryptocurrency. Crypto Sportz https://www.cryptosportz.com – Crypto Sportz is a decentralized blockchain-powered platform for sports wagers through the use of cryptocurrency. 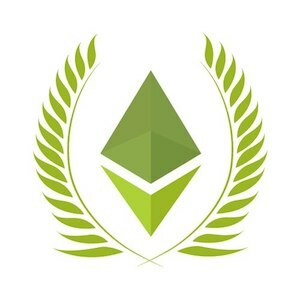 It is a peer-to-peer wager system which is made possible by the functionality of the Ethereum blockchain. All wagers are handled autonomously with the help of Smart Contracts, which are completely transparent and available for auditing at: (https://github.com/cryptosportz/cryptosportz). These are sets of code that operate autonomously on the blockchain. In this framework, no single party (including the creators) can meddle with wagers, refuse entry or payout or influence the process in any way once the contract is launched. Currently, the sports betting landscape is ripe with complicated game mechanics, government regulations, and a general inclination from the industry to maximize how much users lose to the house. Our platform was designed to address these concerns with simple game mechanics, a user-friendly interface, and trustless, peer-to-peer functionality leveraging crypto mechanics. On February 3rd we launched our Superbowl beta. We welcomed and incorporated feedback from our early users and visitors. Following that, we officially launched on February 9th going live with the UEFA Round of 16 Champions’ League matches. We also opened the floor for bettors to make their predictions on the NBA All-Star game. During this time period, our platform will was live for two high profile sporting events hosted by FIFA and the NBA, respectively. In June, we will be accepting wagers for the 2018 World Cup which begins on the 14th. We’ll also be following closely with the NBA Playoffs and feature the league’s most important match-ups. We hope to be the go-to platform for sports fans that want to make the game more interesting. Beyond that, as crypto enthusiasts, we would like to help drive the mass adoption of crypto into the mainstream so its benefits can be enjoyed by all. We understand the potential of blockchain technologies and wish to communicate that through this project and a thoughtful community presence.